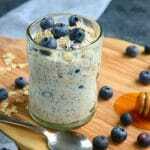 Turn a Pumpkin Spice Latte into a healthy, delicious breakfast! 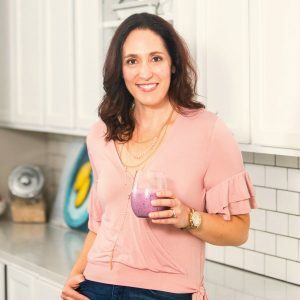 If you love a PSL but don’t like all the calories, sugar and fat, then you’ve gotta try this Pumpkin Spice Protein Shake! 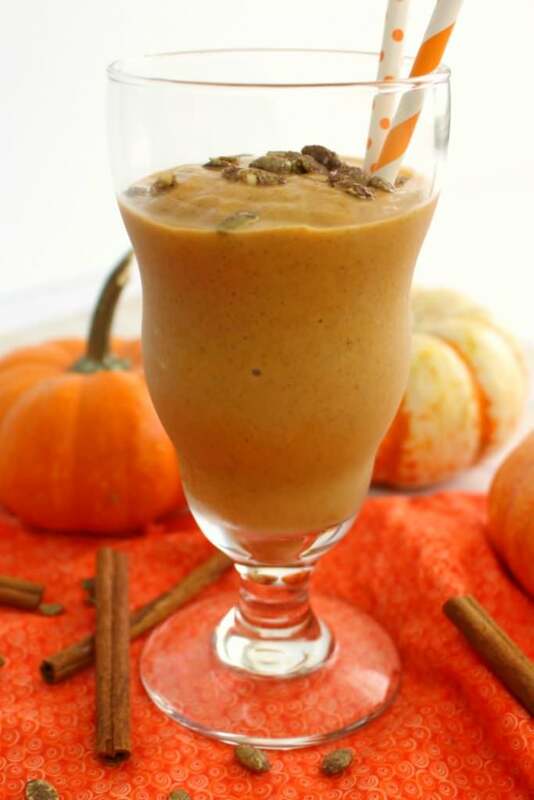 Make with REAL pumpkin and spices (not a syrup) this pumpkin protein shake is amazing for a healthy breakfast or post-workout drink! I’ve been really trying to do a better job of starting my day off with a nutritious breakfast. Most mornings during the week I’m heading off to the gym as soon as I drop of my son at school. 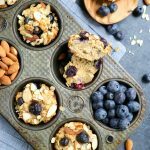 With this in mind, I don’t want a heavy breakfast, but instead something that will give me a bit of energy and still help me feel full through the rest of the morning. I also need something really quick. Between getting my son ready to go to school, I typically don’t have time to make an elaborate breakfast. 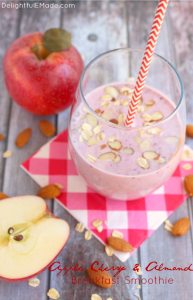 With all of this in mind, a quick protein shake is always a good option, and putting together this fall-inspired Pumpkin Spice Protein Shake is the perfect way to start the day! My biggest tip in making this Pumpkin Spice Protein Shake is actually to freeze the pumpkin puree into cubes, using an ice cube tray. I also do this with my cold brew coffee, which is perfect for blending into this drink as well. The frozen pumpkin makes the drink extra cold, like the consistency of a milkshake, without watering down your shake like regular ice cubes. 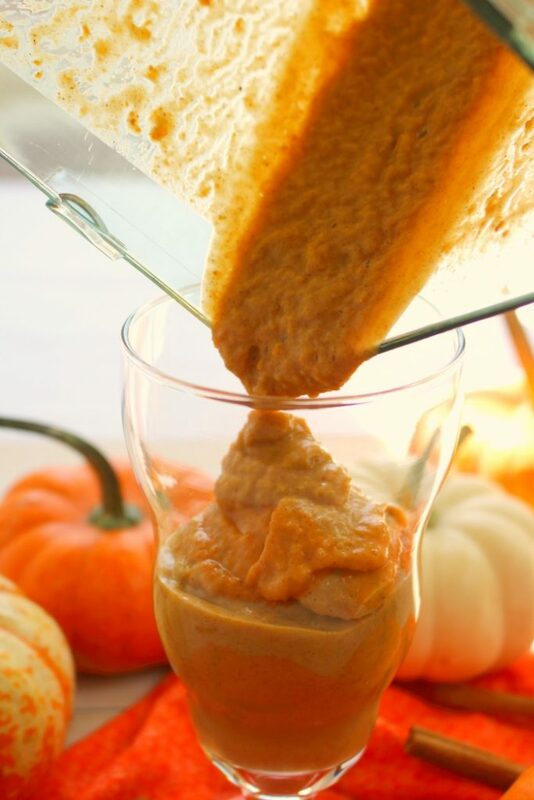 I’ll often open a can of pumpkin puree, and freeze all of it – this will typically fill about two trays, with about 2 1/2 Tbsp. 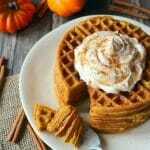 of pumpkin in each cube. 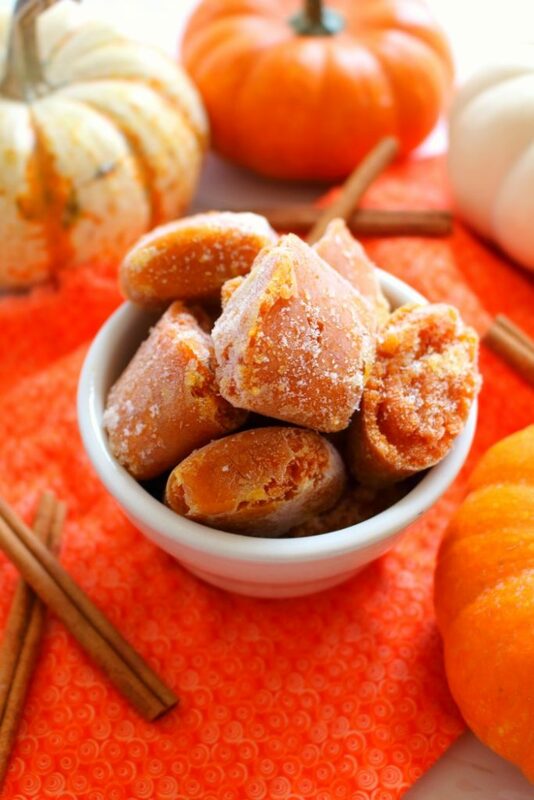 Once frozen, I’ll add the frozen pumpkin cubes into a zip-lock freezer bag, and store in my freezer to take out on busy mornings. 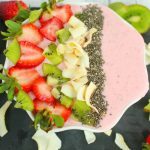 I use a Ninja blender which is fantastic! The Ninja Kitchen System that I have includes both single-serving blend cups, as well as the large blender pitcher. 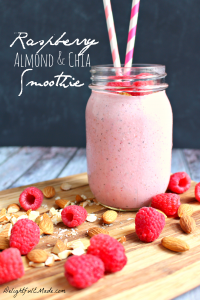 What ever blender you may have, this shake comes together quickly. 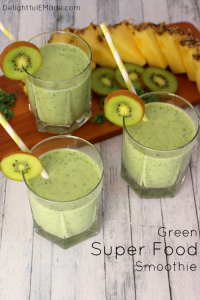 Simply blend the ingredients until smooth, then pour into your favorite glass or cup. 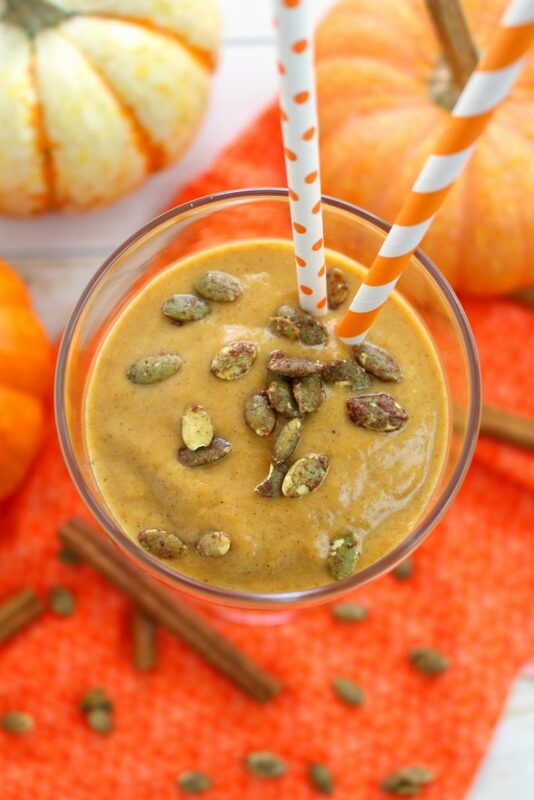 I really love these cinnamon sugar roasted pumpkin seeds, and sprinkling a few on the top of this protein shake is the perfect crunchy garnish. If pumpkin seeds aren’t your thing, feel free to omit. Step 4: Enjoy right away! Like I mentioned earlier, I don’t have much time in the morning. 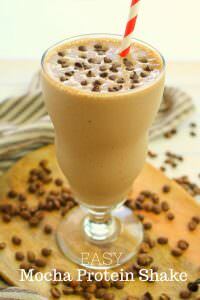 I’ll often take this shake with me in the car, on my way to dropping off my son at school. 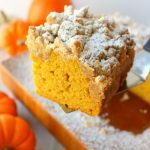 It’s super-tasty, filling, and best of all, the flavor is really similar to a pumpkin spice latte. 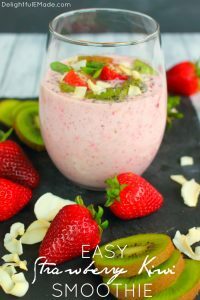 It’s a fantastic way to start your day, and you’ll feel good knowing this shake is loaded with protein and nutrients. 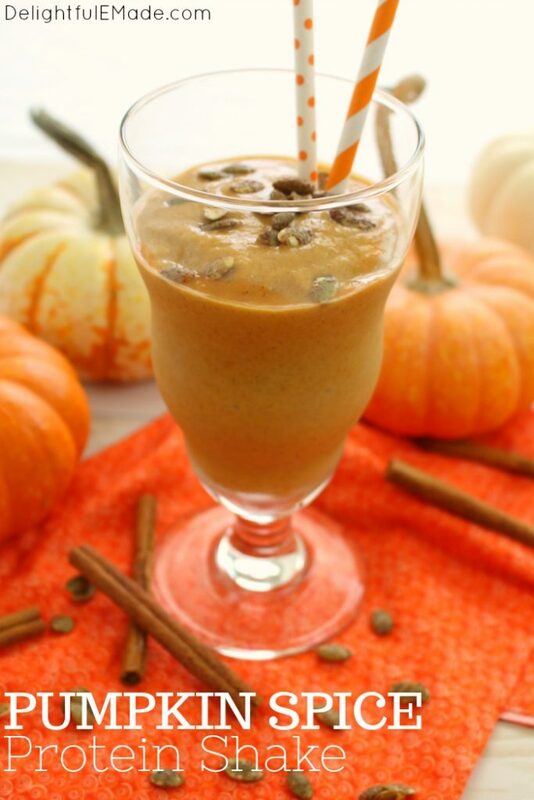 If you love a PSL but don't like all the calories, sugar and fat, then you've gotta try this Pumpkin Spice Protein Shake! 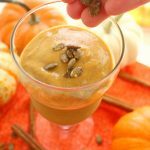 Make with REAL pumpkin and spices (not a syrup) this pumpkin protein shake is amazing for a healthy breakfast or post-workout drink! In a blender, add all ingredients. Blend until completely smooth. 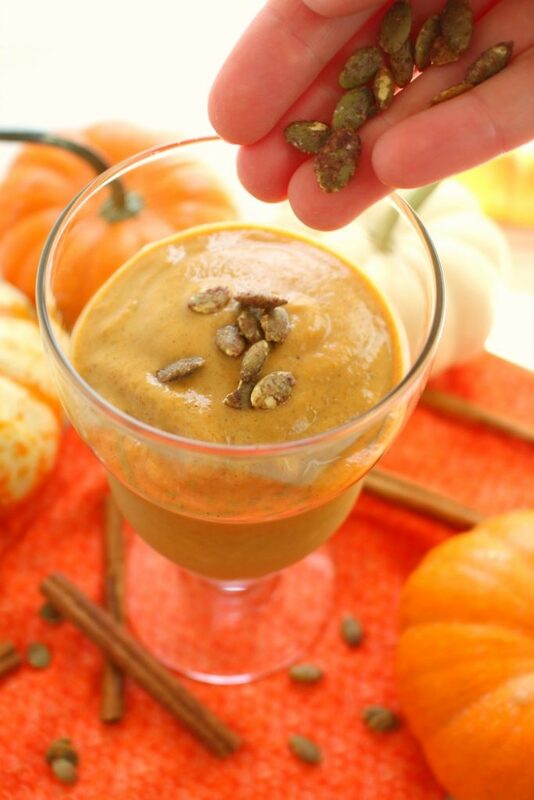 Pour into glass and top with a few pumpkin seeds, if desired. Enjoy right away while cold. Feel free to use the sweetener of your choice. One tsp. of honey or agave nectar would be great choices. 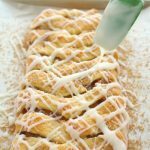 You can also use raw sugar or other sugar alternatives. Feel free to use regular unfrozen pumpkin puree, if you haven't froze the pumpkin. You can add 4-6 ice cubes to give the drink a frozen consistency.